5/5 Combat Stance > 5/5 Fatal Shot ? Thoughts? I think the extra PHYS % and CRIT % is much better than the extra damage from Fatal Shot. Fatal Shot might seem better at low levels because most of us don't have proper mana regen gear yet, but as Hunters most of us will want mana regen to eventually keep Combat Stance up at ALL TIMES. Therefore I think 5/5 Combat Stance is better at higher levels, especially if you amp your weapon to a high level since the PHYS % boost will be more effective. BTW, why is the Hunter forum so inactive? Easy class? Hello from Argentina, New Player here with some questions! 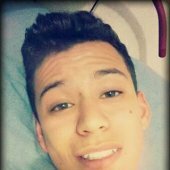 Hello everyone!, I'm Dreeco, a New Player from Argentina. First of all, Came to this game since i love the 2d oldschool MMO/RPG theme of it, played for 2 hours and i loved it. But... I have some questions... Since i play from latin América, ✓I Want to know which server should i pick (latency terms), are servers located in US and EU? or servers are all the same with the same latency? ✓Classes, i loved the dk, charmer, druid, but... What is the best for solo PVE content aswell for PVP? Any updated build out there? ✓Is it worth to buy starter packs? Or it's only good for the very first levels? ✓Is it possible to be "competitive" by going F2P or should i spend a good amount of $$ to have decent gear for both PVE / PVP? I'd love to read some feedback, advices and tips. Thats all i need to know by now, Thanks for the help! PEW PEW PEW Ranger build? Hi Guys! Sorry my english, i am brazilian, dont know write a good english... I want to know the best way to distribute skill points to pve in level 26 rogue using attack speed equipment and swords. Thank you for the help! really sorry my english is bad. BREAK THE META! Go find builds which are just unusual! Not something everyone does! Rules You must point out what kind of pros and cons that build could have If you dont point out why you should use that build, your build is invalid trolling purpose can be a reason, but its not enough. I start: Priest DPS: Full dex for God's Help Full cd (isn't unusual, but to spam skills and make this build effective) Its designed for PvP, so Enchants can be resilence Skills: 5/5 Tear 4/5 Shield 4/5 Heal Those Expert skills: God's Help (Do you even know what that skill is? Its like Mage's Dragon Eye) Payback (Damage and last nuke) Valor Aura (Damage increase) Elusive threat (Kiting ftw) (Redemtption (CC is the greatest foe of an assasin)) Pros? Players would never expect a priest NUKING them Most of Priests expert skills are quite offensive, Why not use them Most of Priests basic skills are utility related Heal and Shield depend on your Magic(&)), so with the skills above its not a big deal Cons? Priests real purpose will be a bit offset Why should you use this build? Because, the priest has many offense skills, and why not use them?